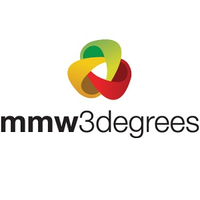 mmw3degrees is looking for a Marketing Automation Specialist. If you meet the requirements below, you will be eligible to apply via Digital Marketing Community. Build e-mail campaigns using supplied HTML and quality assurance of all outbound campaigns. Maintain and troubleshoot technical issues related to HTML templates, list segmentation and other aspects of email execution as required. Perform day-to-day email marketing activities including, but not limited to e-mail campaign set-up, scheduling, testing, tagging and deployment of one-time, recurring, triggered and dynamic content-driven campaigns. Stay abreast of and recommended email marketing best practices with coding, design and testing of email campaigns. Schedule in broadcasts of email campaigns. Build campaign canvases inappropriate technologies and measures their success. At least 2 years of proven working experience in the same role. Extensive experience with one or more marketing automation tools such as (Adobe Marketing Cloud, Eloqua, Vision6, ExactTarget, Responsys, Marketo, Pardot and Silverpop). Effective working knowledge of using (Google Analytics and webmaster tools). Proficient understanding of quality assurance (QA) protocols and ownership of QA signoff for all deliverables. Solid understanding of database concepts and segmentation. Ability to write queries and define new audience types. Ability to work independently with minimal direction, while also functioning and contributing as part of a team. mmw3degrees have been managing direct marketing for 21 years for some of the largest brands in Australia. A fresh, long-standing and forward thinking multi-channel agency, mmw3degrees' unique consultative approach ensures exceptional service every time with experts that deliver smart and evocative multi-channel campaigns without fail. mmw3degrees have been managing direct marketing for 21 years for some of the largest brands in Australia. A fresh, long-standing and forward thinking multi-channel agency, mmw3degrees’ unique consultative approach ensures exceptional service every time with experts that deliver smart and evocative multi-channel campaigns without fail.